The headline indices sank tracking retreat in Asian markets as the oil price rally that boosted global equity markets reversed amid worries over supply glut. Snapping the four-session long gaining spree, the S&P BSE Sensex settled the day 378 points lower, while broader CNX Nifty ended just a tad above its key 7,100-mark on the first day of the Budget session. The 30-share index ended the day at 23,410, down 378.61 points, while broad-based 50-share index quoted 7,109, down 125.00 points at close. Market breadth turned fairly negative with 28 of the 30 Sensex components ending the day in red. Coal India was the worst performing stock on Sensex and ended 4.1 per cent down. Oil prices and the stock market have moved in lockstep for much of the year as investors look at demand for energy for a bearing on global economic health. Investors were also jittery ahead of the government's 2016/17 budget, which is due on Feb. 29, amid hopes that policymakers will deliver a fiscally responsible budget that nonetheless steers spending to key areas such as infrastructure. "People are not wanting to punt on the market on the budget front because you don't know where you'll get stuck because of the global developments," said Vivek Mahajan, head of research, Aditya Birla Money. Overseas investors bought a total $90.51 million of Indian shares on February 18 and February 19. So far in 2016, they have net sold shares worth $2.38 billion. However, concerns over valuations remained, said analysts. "India until yesterday was the best among the emerging market space and that is what is going against India at this point of time," said Mahajan. Nifty is valued at 17.17 times its estimated 12-month earnings, versus a multiple of 11.2 for the Thomson Reuters Emerging Markets Asia Pacific Index. Oil retailer stocks Bharat Petroleum Corp, Hindustan Petroleum Corp and Indian Oil Corp fell between 2 and 3 per cent amid concerns that government may impose customs duty on crude oil imports in the budget. Mahindra CIE Automotive slumped 12.4 per cent intraday after posting 65 per cent decline in its third-quarter profit. 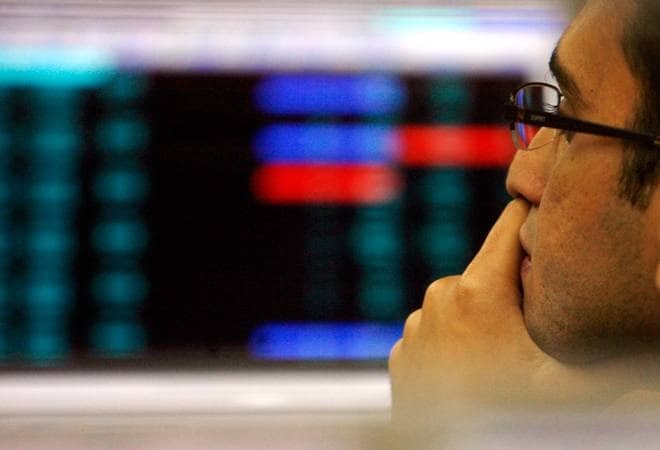 Among Asian markets, China's Shanghai Composite fell 0.81 per cent, Hong Kong's Hang Seng index 0.25 per cent, while Japan's Nikkei lost 0.37 per cent.